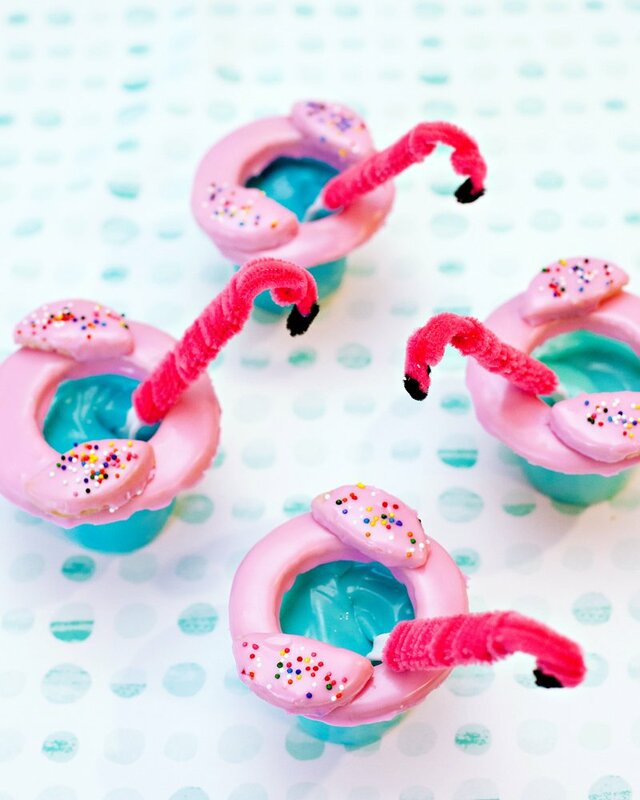 What a fun way to greet your pony party guests! 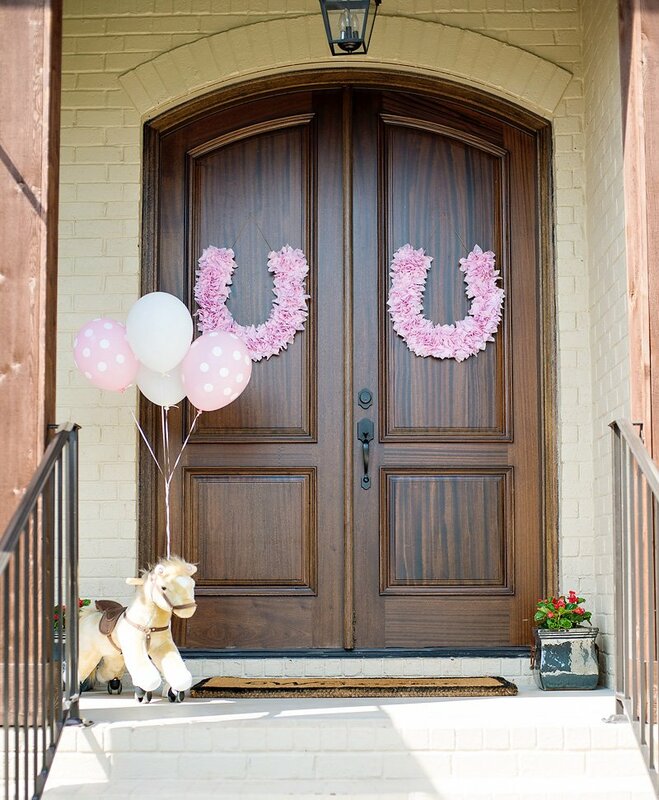 These darling horseshoe wreaths are made from square pieces of pink gingham fabric that were cut with pinking shears for added texture. 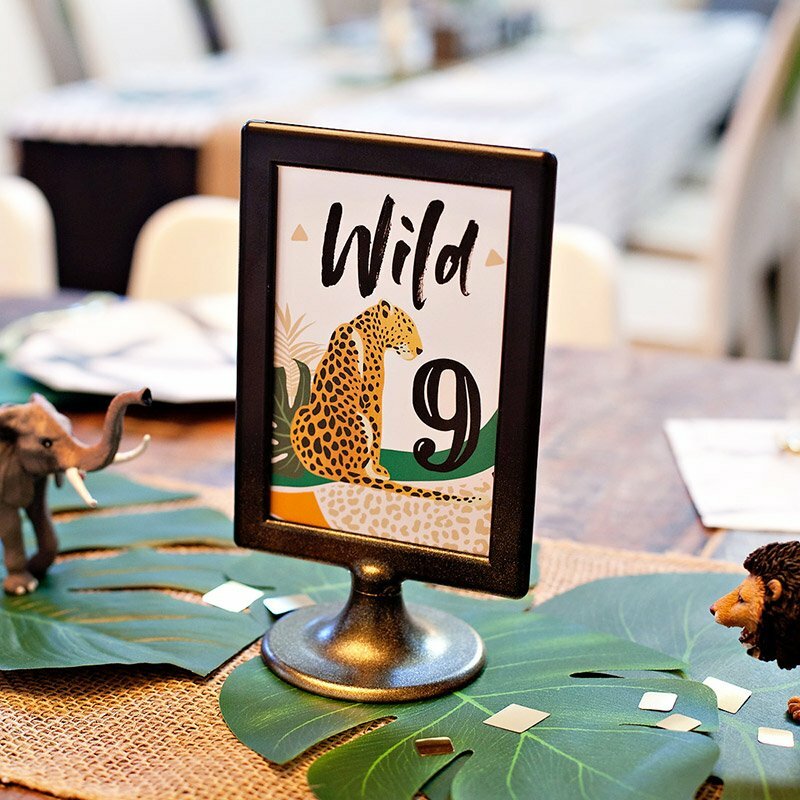 You can rent these exact wreaths from Undercover Hostess as part of their Shabby Chic Pony Pary Kit or go the DIY route and make a similar item yourself. 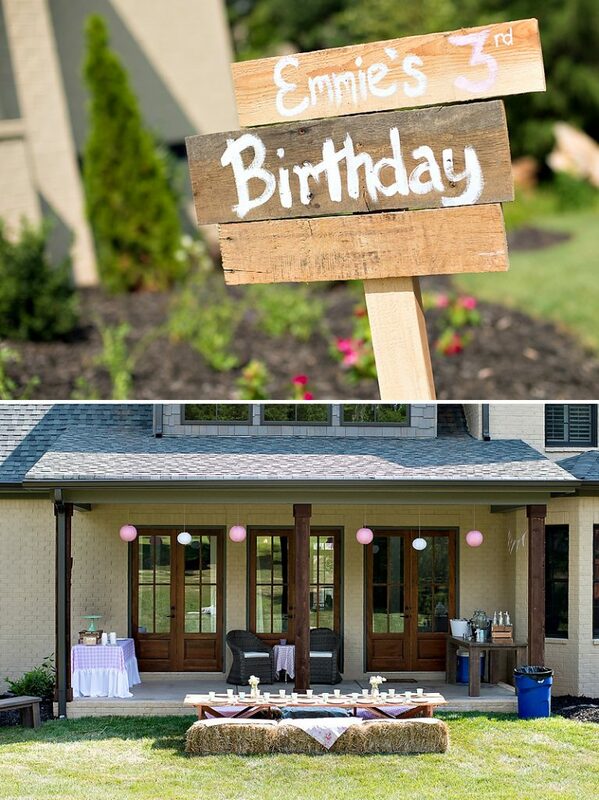 Use a horseshoe shaped cut out of wood, cardboard, or styrofoam as your base. 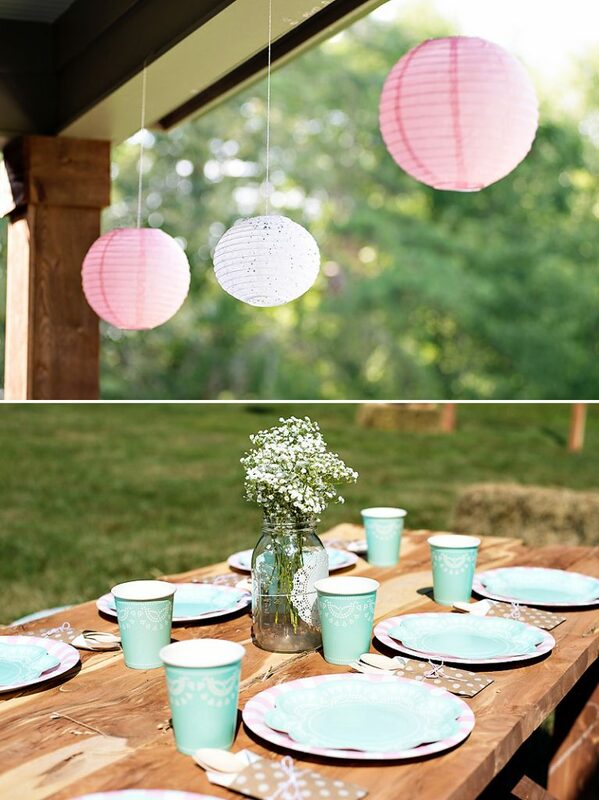 Using the same mix of shabby chic fabrics throughout the party really helped pull everything together! Rag tie buntings are made by ripping strips of fabric (instead of cutting them). 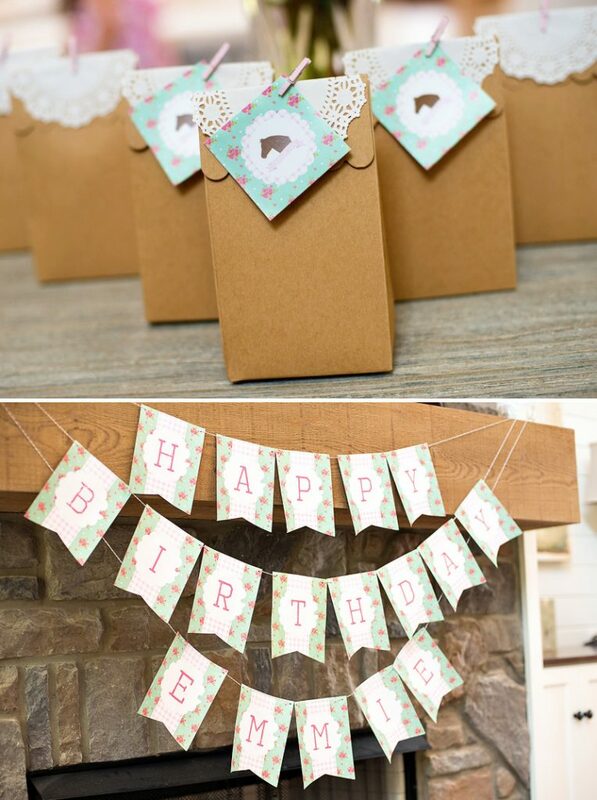 There are lots of helpful rag tie bunting tutorials available online. You can also rent this exact bunting from Undercover Hostess. 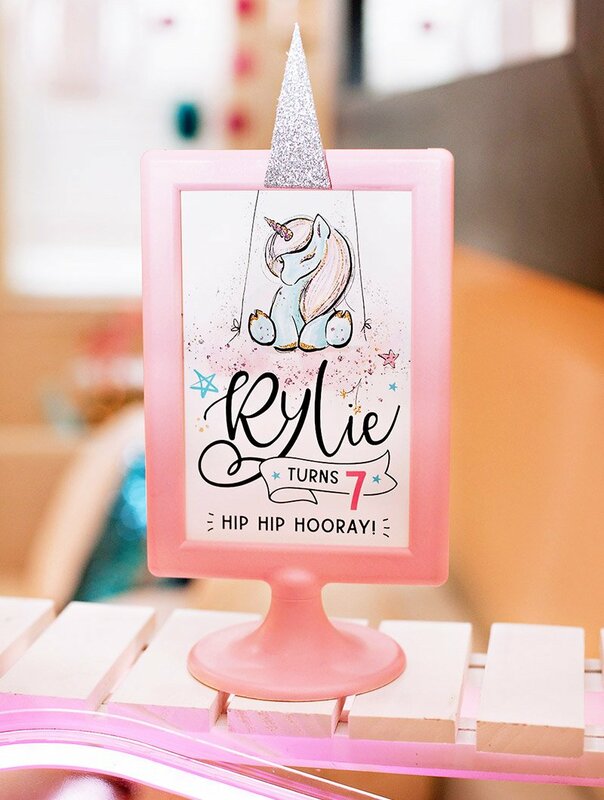 The coordinating pony party invitations and printables are available for purchase there as well. 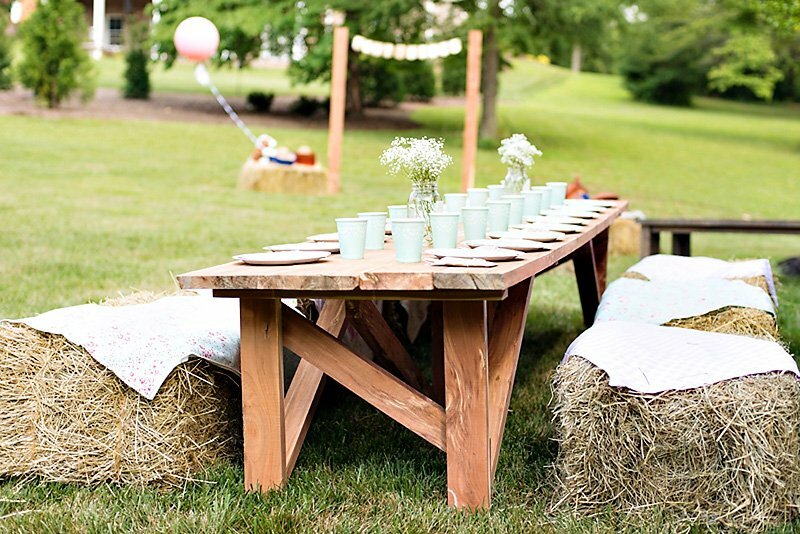 Hay bale seating is SUCH a fun way to theme up your pony party atmosphere. 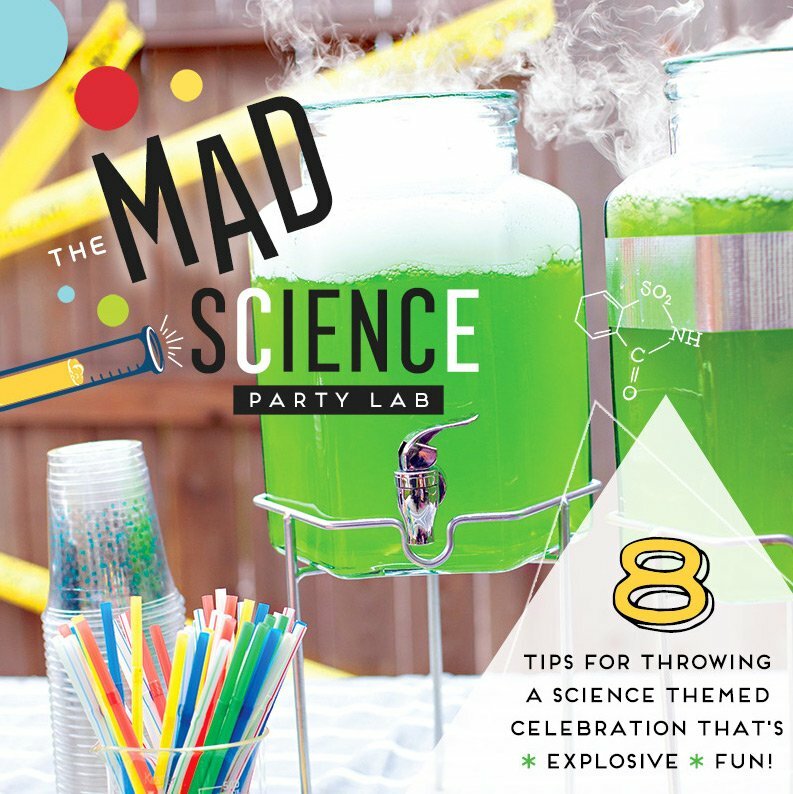 Little ones will go crazy over it too! Just drape squares of fabric or small blankets over the bales to make them more comfortable (and a little less messy!). 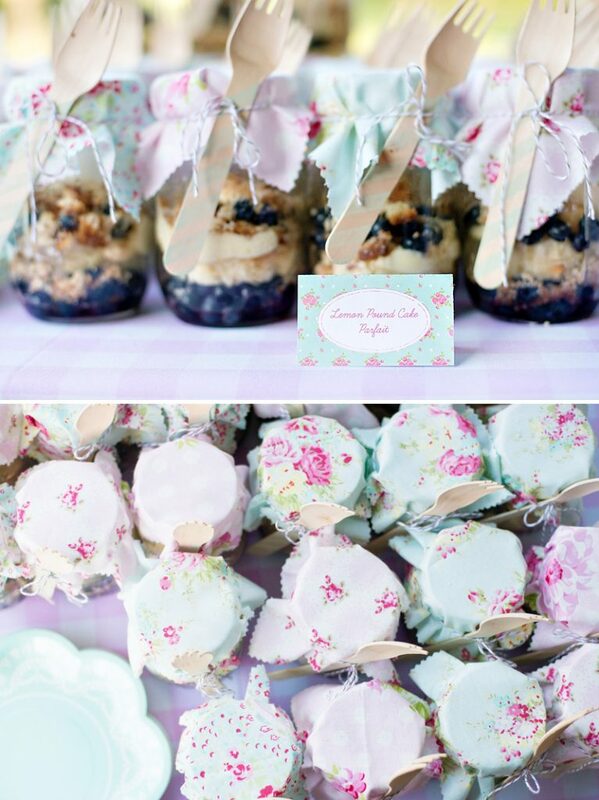 Cake jar parfaits look even prettier all dressed up with a fabric top! For added interest, use a few different fabrics that coordinate well with each other, and add pretty texture to the edges with pinking shears. Secure the fabric tops with baker’s twine. Erin also shared a recipe tutorial for these lemon blueberry parfaits on her website. 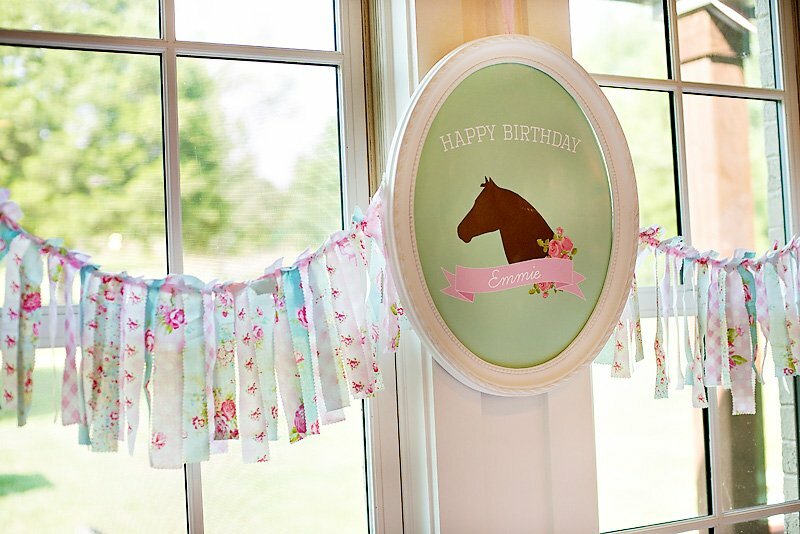 This giant lasso rope name sign is definitely a showstopper and a great way to highlight the birthday girl. Erin added the rope to the plywood sign using a staple gun, but I’ve also seen it done using hot glue. 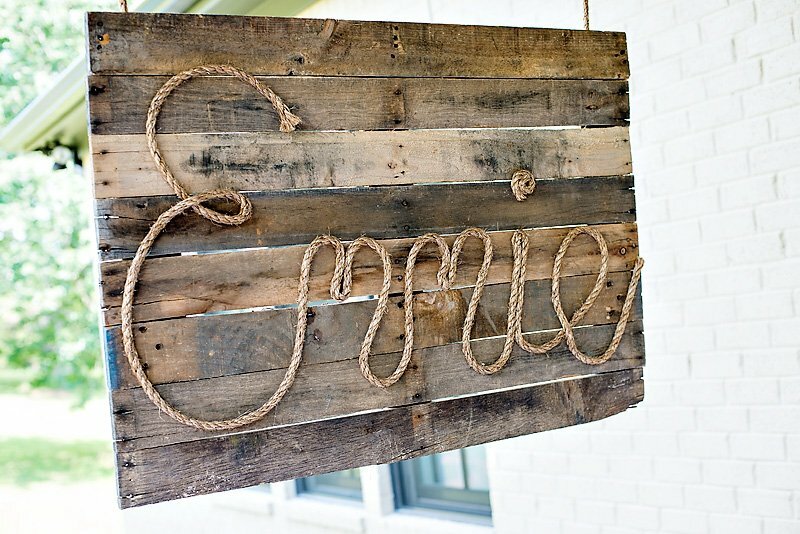 You can find DIY tutorials for this type of sign online (I really like this tutorial in particular), or you can order them custom made for you at places like Rope and Style on Etsy. 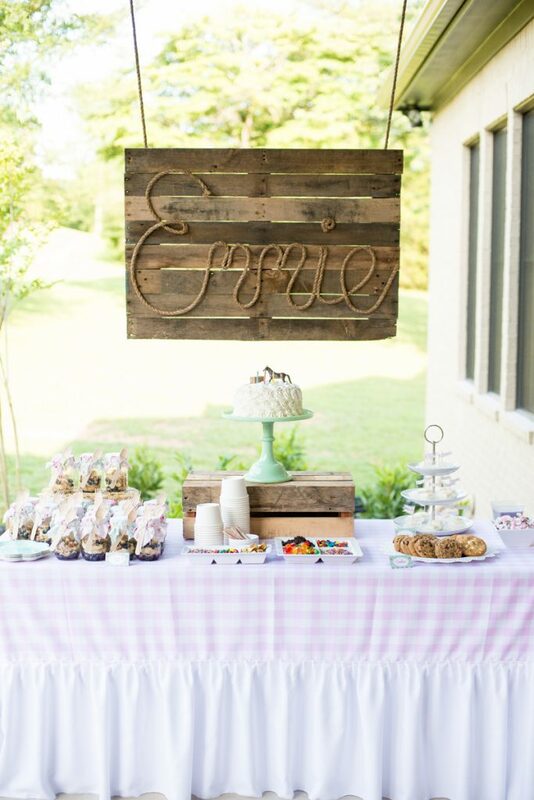 A few months ago, I put together an incredibly adorable party for my daughter, Emmie. 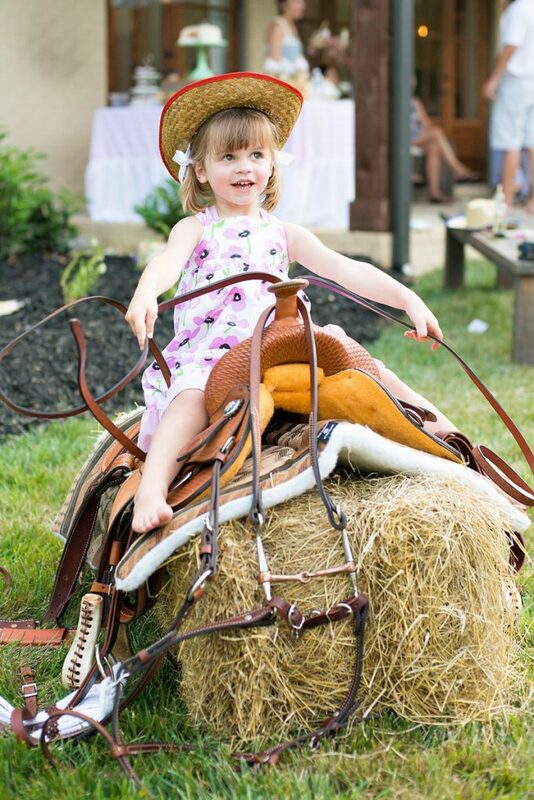 What else would a 3-year-old want besides pony rides? So that’s what it was. 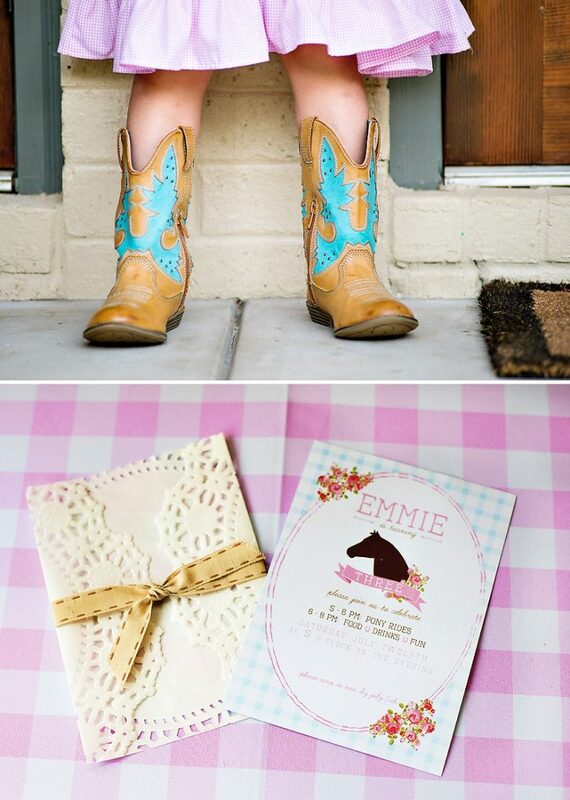 Instead of opting for the more traditional cowgirl themed party, I styled it with a delicate shabby chic touch, using lovely floral patterns accented with a pink and teal color palette. I added the rope to the plywood sign using a staple gun, threw some bales of hay around the wooden table for seating, and handed out cowboy hats for all the guests. Everyone had a great time with the ponies and the party turned out just perfect! 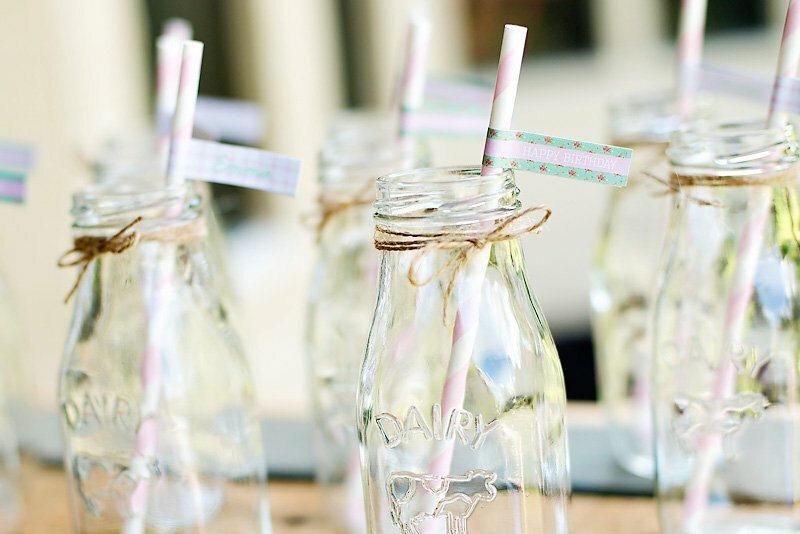 Together, I think we pulled off one girly pony party!